The partner community came in force in 2016. Get in now for 2017! Here’s some of the key players from last years lineup of over 27 solutions partners. 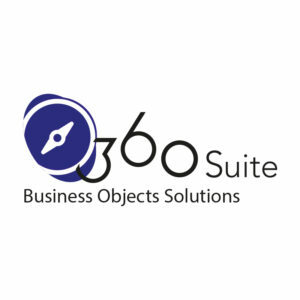 360Suite offers industry-leading solutions for SAP BusinessObjects, helping BI managers achieve excellence, and creating synergy between IT and Business. 360Suite solutions cut costs, enhance security, support regulatory compliance, streamline migrations, prevent regressions, facilitate IT chargeback, and leverage metadata for three million users worldwide. 360Suite provides KPIs on analytics for executives. Visual BI is a leading all-in-one business intelligence (BI) enablement firm specializing in BI and analytics services, solutions, and products. More than 100 leading global companies leverage its proprietary software products and market-leading expertise in BI and analytics. Headquartered in Plano, Texas, with global offices in Calgary, Canada, and Chennai, India, Visual BI provides unparalleled expertise and support for enterprises to win with latest in BI and analytics. Visual BI is a SAP silver partner and a Microsoft gold partner for Data Analytics. With a speaker lineup of unparalleled content – researched with a passion and thoroughness not seen anywhere else – plus unique, limited partner opportunities, this is a growing community and ecosystem that you simply must be a part of! Fill out the form below today for more details.